Butterworth Railway Station is the closest train station to the island of Penang, where UNESCO World Heritage site George Town is located. 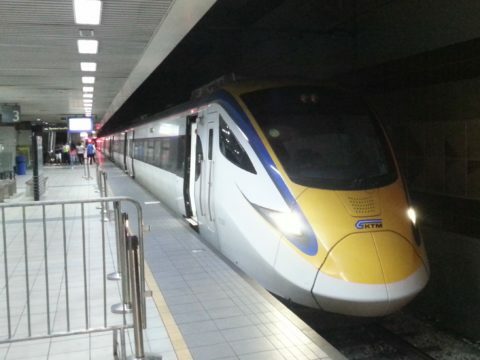 Butterworth Railway Station is located on the mainland and there are two ways to travel from there to George Town on Penang Island: by road or by ferry. For passengers with few bags, or young children, who can walk a kilometre or two without difficulty travel by ferry is an easy option. If you have luggage, small children or difficulties walking then take a taxi. By road Butterworth Railway Station is 24 km from most areas in George Town. Taxis in Penang do not use a meter and you need to negotiate a price before setting off. Taxis services booked online are pre-paid saving you the need to negotiate a price with a taxi driver or have the correct amount of Malaysian currency to allow you to pay the driver the fare. You have a choice of booking a standard saloon car which can accommodate up to 3 passengers or booking a minivan which can accommodate up to 9 passengers. 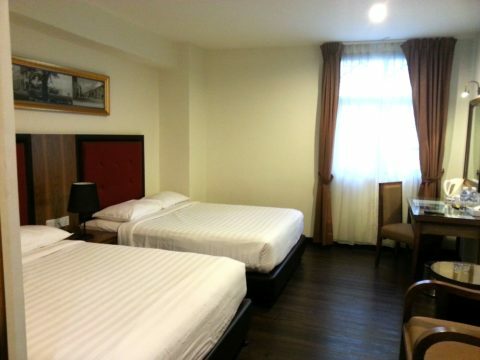 Travel Tip: Those people travelling in large groups of 4 people or more will normally find that they can get a better deal by booking a minivan online compared to arranging separate taxis when they arrive at Butterworth Railway Station. The cheapest option available is to take the Rapid Ferry service from Butterworth to George Town. The adult one-way fare is 1.20 MYR and the child fare is 0.60 MYR. The journey time is 15 to 20 minutes depending on the conditions on sea. The first ferry leaves at 05:20. The last ferry departs at 00:10. 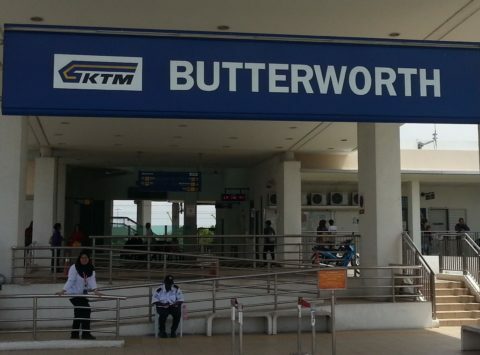 To reach the ferry terminal in Butterworth take the free shuttle bus from the bus station in front of the entrance to Butterworth Railway Station. 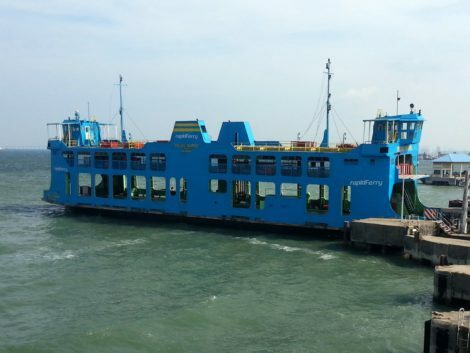 The Rapid Ferry service arrives in George Town at Pengkalan Weld seafront road. From the ferry terminal in George Town its a further 1 km to 2 km walk to any location within the Old Town area. For destinations further away you can catch a bus from the Penang Jetty Bus Terminal which is adjacent to the ferry terminal. 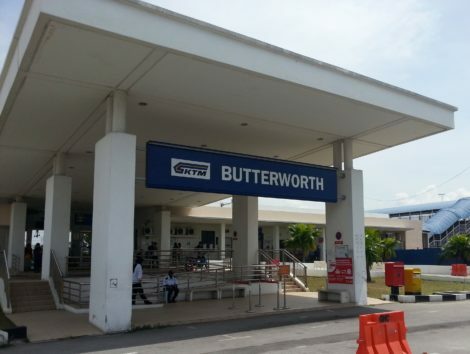 Butterworth Railway Station is located on the mainland. The commuter ferry from Butterworth arrives at Pangkalan Raja Tun Uda port on the main seafront road in George Town on Penang Island.